Massimiliano Fedriga, who is the governor of the Friuli Venezia Giulia region and a member of the right-wing Northern League party, has had to spend four days under observation at the Udine hospital. 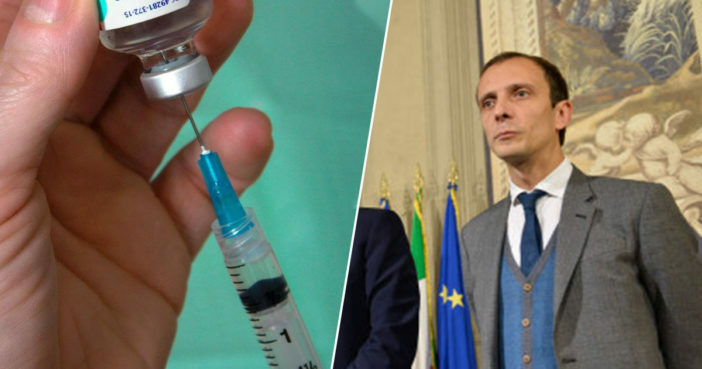 The 38-year-old politician argued against the Lorenzin decree, a law which would have made vaccination mandatory for children before they begin school. I’m fine, I’m at home in convalescence and I thank everyone, Fedriga has received some ridicule on social media after the nature of his illness became public, with some people suggesting he has experienced a taste of his ‘own medicine’. I’m reading a series of celebratory comments on Twitter because I’ve been hospitalized, I have always said that I am in favor of vaccines and to achieve the result is necessary to form an alliance with families, not impose [it on them]. [The critics] even said I would get chicken pox from my children, not realizing that my children are vaccinated (as I have stated in many interviews). As reported by Italian publication La Van Guardia, Fedriga had been present in the Italian Chamber while the Lorenzin decree was debated. Fedriga reportedly expressed his belief more than once about how mandatory vaccination is not the best method to convince anti-vaxx parents to vaccinate their children. He argued how parents should not be ‘coerced’ into vaccinating their kids and – according to The Independent – described the Democratic Party as ‘Stalinist’ for wishing to implement the policy. The Lorenzin decree was introduced in Italy following a measles outbreak in 2017, with fines awarded to parents who fail to vaccinate their school age children.